Customer experience, is the topmost priority of every business, as it depicts a direct correlation with customer retention, satisfaction, and profitability. A customer-centric business environment has to be created according to today’s business demands. Businesses with the right approach tend to generate positive experience for customers both before and after sales. This becomes a priority if you want to drive up customer loyalty and profits. Live chat strategy is being implemented by all tech-savvy businesses to overcome the hurdles that generate poor customer experience. Live chat has enabled customer support automation which in turn has improved the overall customer experience. Businesses are adamant and are assiduously experimenting to deliver better customer experience with the help of live chat support. Streamline your customer conversations in real time for sales, support & onboarding with REVE Chat’s premium level solution. It is designed to assist organizations of all sectors and size master conversations with customers over website and mobile applications. Deliver real-time omnichannel support to website visitors and customers in order to provide a distinguished messaging experience to your customers with the live chat for support software. Boost your customer engagement with REVE Chat’s live text and video chat solutions to strengthen customer satisfaction. The advantages of live chat software for sales can help you maximize the software's effectiveness to boost your business operations. Combine live chat with video chat and co-browsing to reduce the total resolution time and provide complete engagement to customers in real-time. For making business more engaging and customer-centric live chat software plays a major role. You can easily start a conversation proactively with the website visitor and guide him to the right department or direction to provide effective customer service. The customer is offered follow-up support after the final sales. The feedback data collected through follow-up is further used to optimize the process. Interact and control your customer’s screen in real-time and visually guide through form fill-ups, product demos, and remote support with REVE Chat’s co-browsing solution. You can navigate your customers seamlessly through your web pages by swapping or shifting pages on their behalf. Co-browsing solution with WebRTC technology requires no installations or plugins. 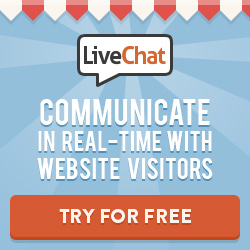 You can communicate instantly with the website visitors by co-browsing with live chat and video chat simultaneously. Not only this, REVE Chat’s co-browsing solution allows you to scroll the page up and down and shows your cursor to the customers. It guides customers in the right way by using the highlighting and drawing tools. Data masking controls the information you want to share with the agents and hide sensitive data like personal details (credit card details, login credentials). Customer Service: co-browsing supports customers virtually and resolve their issues without asking them to move to a different tool. Sales: provides real-time sales assistance to customers and visitors on your website for completing a transaction or filling up form. Customer on-boarding: provides additional information about product/service making the process seamless and enjoyable. Product Demos: co-browsing provides detailed functionality and usability prior to making the final purchase. REVE Chat offers an integrated platform for a real omnichannel experience across various channels such as messaging apps, social media, mobile, web chat etc. Manage all your customer conversations by making them comfortable and engaging them over their preferred channel. The customer insights gained help to understand your customer behavior better and make decisions on delivering better customer experience. Engaging with customers has been made easy with REVE Chat by the real-time customer engagement tools. Omnichannel conversations help to collect huge data that further helps in meeting customers’ expectations. Thus, meeting up customers’ needs successfully across all channels boosts customer experience and you can easily connect with your customers to improve customer service with the omnichannel strategy. REVE Chat also offers other potential features that make customer engagement seamless and provides better customer experience. Screen sharing -. Effectively collaborate with your customers through screen sharing to enhance conversations in online meetings, product demos etc. Widget customization - Customize your live chat widget to match your website branding as per your preference. Visitor analytics - Gain a better understanding and give reports about your visitors and customers. Learn the customer behavior and engage your bys sending right messages. Advanced reporting - Advanced reporting provides understanding the overall response time and other KPI metrics. Intelligent Routing - Directs the chat requests automatically to the right support agents. If the agent is busy the call will be queued with a specific wait time and then answered. Trusted Domains- Manage and control the specific domains that are secured for chat conversations. For anyone outside the domain, the access is restricted. Mobile SDK - Provide messaging support to your in-app visitors and customers with iOS and Android Mobile SDKs. Developer API - Provides chat SDK and API in real-time to integrate chat or messaging services to your website or mobile apps for instant in-app customer engagement. Department Management - Allows your website visitors and customers to connect with the right department for faster response. The average handling time is reduced and raises customer satisfaction. Proactive chats - Get in touch with the new website visitors by proactively sending chat invitations to initiate chat anywhere on your website. Visitor Notes - Add extra details (like contact details, email address) of your website visitors and customers for future reference. The visitor notes can help in connecting with the customers whenever required. Canned Responses - Set predefined responses by the commonly asked questions by the customers. Auto Triggers - Analyze the customer’s journey and trigger personalized messages based on the journey. REVE Chat’s customer engagement tools provide an exclusive track for your business to grow. The customer engagement software will help to learn your customer behavior, meet their demands and deliver better customer satisfaction. This will eventually escalate your customer experience and improves sales conversion. The businesses who are looking forward to new horizons are leveraging REVE Chat’s customer interaction analytics framework to drive the next stage of transformation. Business Writing Skills: How to Compose a Strong PowerPoint Presentation?